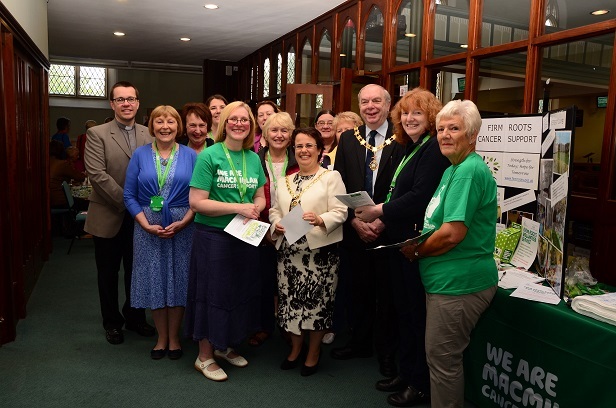 Part of the Firm Roots vision is to work with local churches and the voluntary sector to offer practical and emotional support to people affected by cancer. This includes things like shopping, befriending, meal delivery, ironing, hoovering, going for walks, gardening, sitting with a person while the spouse/family member goes out for a break etc. In September 2015, Firm Roots launched its first volunteer service in partnership with Macmillan Cancer Support. A Firm Roots Steering Group oversaw the practicalities of setting up the volunteer service and included representatives from the Lancashire Firm Roots Cancer Prayer Support Group, Macmillan Cancer Support, West Lancs NHS CCG (Clinical Commissioning Group), Lancashire County Council and West Lancs CVS (Council for Voluntary Services). As of September 2015, anyone living in Burscough or who has a Burscough GP, who is affected by cancer or undergoing cancer treatment and in need of practical and emotional support, can be referred to the volunteer service. Please contact us at firmroots@stjohns-burscough.org to make a referral or if you would like more information about the Burscough volunteer service. We accept self-referrals or referrals from family members/GPs/health professionals /churches/friends or other supporting organisations. On receipt of a referral, our lead volunteers will meet with a person/family to see what support can be offered. Individual needs will be discussed and then a family will be matched with one or two of our volunteers for 6 – 12 sessions of support, after which their needs will be reviewed. The Firm Roots volunteer team consists of 16 volunteers who have received training from Macmillan Cancer Support, and who have had enhanced DBS checks. After the initial six month pilot period, we hope to extend the volunteer service beyond Burscough, in partnership with Macmillan. Again the vison of Firm Roots is to see more volunteer services set up across the UK to give much needed practical and emotional support to people affected by cancer and undergoing cancer treatment. As the Firm Roots Cancer Prayer Support Groups spread across the country, our hope is that ultimately, linked to these groups, will be new Firm Roots volunteer projects. Please email Helen.Jones@firmroots.co.uk if you may be interested in setting up a Cancer Prayer Support Group and linked Firm Roots volunteer service, to offer practical and emotional support in your area.